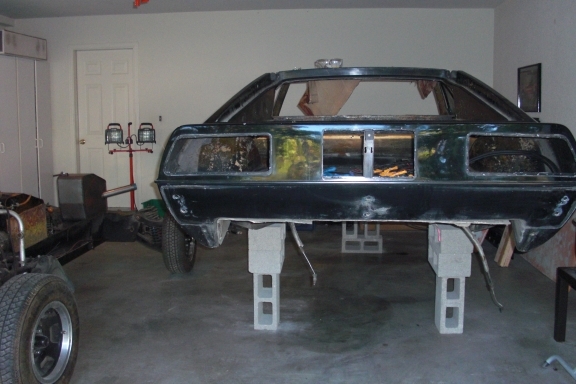 Taking the Lotus Esprit down to the chassis requires a tremendous amount of patience and heart. 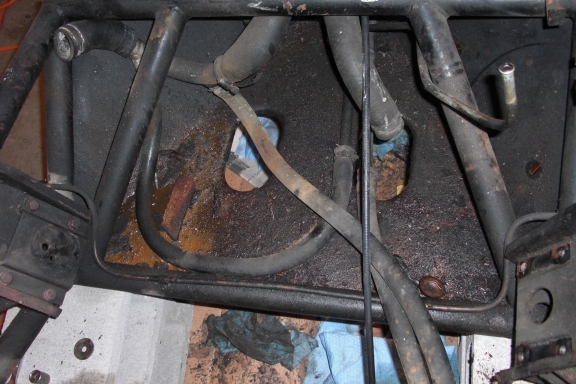 With every piece removed you reveal more rust, dirt, oil, grease, broken parts, electrical faults and problems you know you will have to tackle later on. 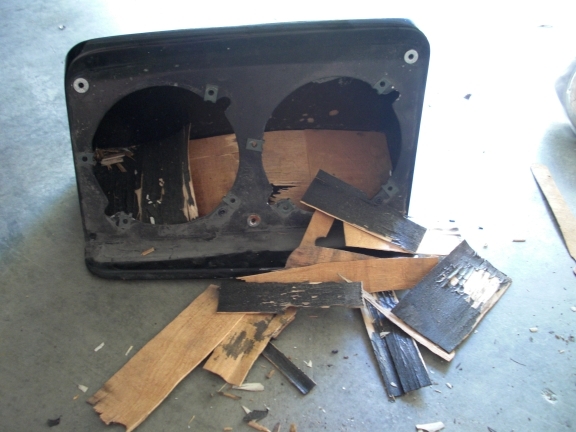 I consider my car an excellent candidate for a restoration yet still it was a tough job. In all it took me 6 months working on weekends and a few hours most week nights. The key was properly cataloging each part and taking notes, bagging them separately from the others, and taking hundreds of pictures to understand how to put it all back together again. 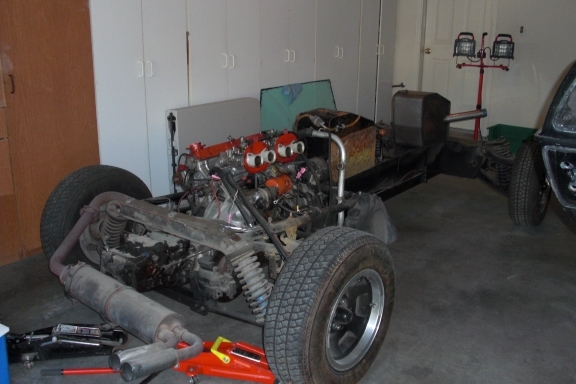 Some of the items took forever including removing the windshield and rear hatch glass, steering u-joint, doors and door internals, and obviously the fiberglass body. 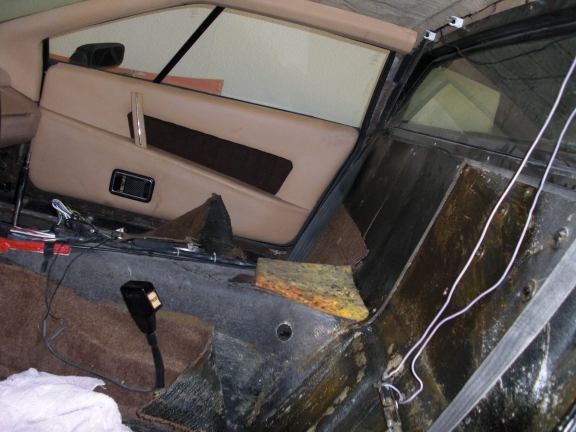 There is no glamorous way to describe the process and it's by far the most difficult part of the restoration. I'm glad it's over! Cinder blocks helped lift the body off the chassis. Not pretty but they were the cheapest alternative. 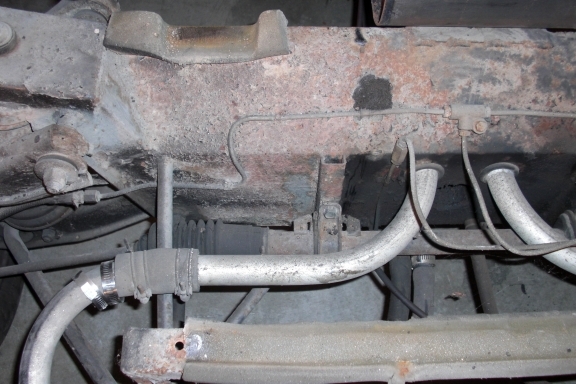 Starting to disassemble the front suspension after having removed the body. brake lines are all tidy and attached to the chassis. The 30 year old suspension is about to come off and be restored back to new. anyway to make way for the original material sourced from England. 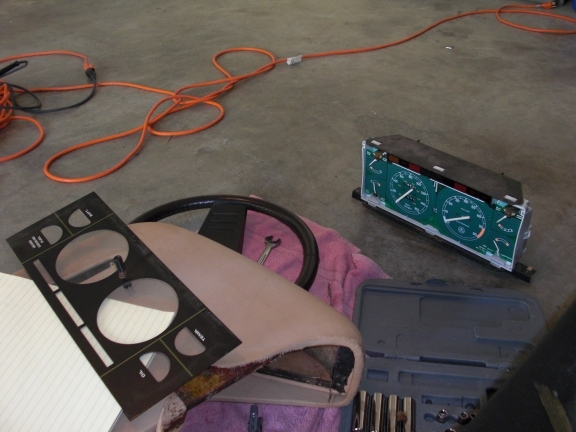 One of my favorite features of the S1 Lotus Esprit is the green instrument cluster. I removed it with care considering that a replacement is almost impossible to find. get 2 new headlight pods from a later Esprit. 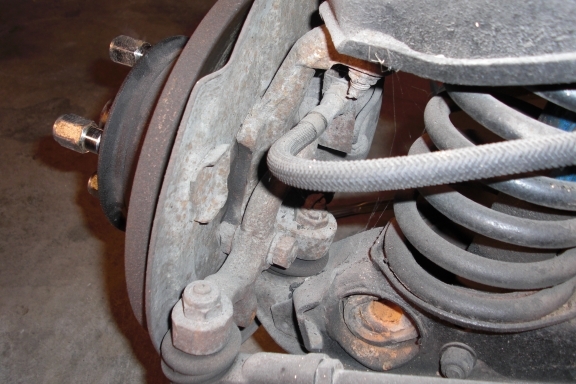 The front of the chassis reveals some surface rust but nothing too bad. 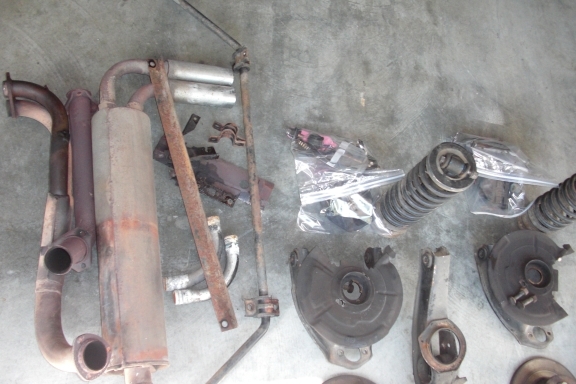 Suspension parts off the car and waiting to be powder coated. Hello, I am a fellow 77 Esprit owner also doing a frame off restoration. You are doing a great job. Keep up the good work. Are you related to Dennis Ortenburger of Lotus Elite fame? I had an Elite for 18 years. As a fanatic of Lotus cars, my favorite has always been the Esprit. 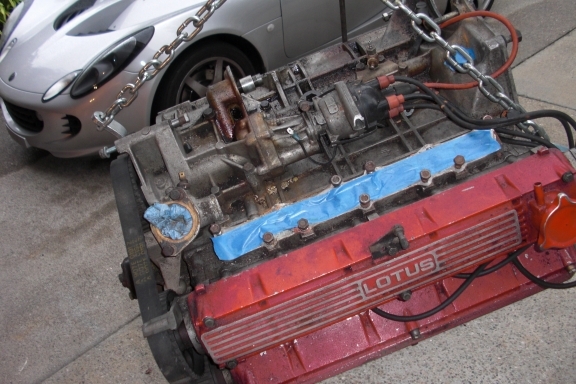 I'm restoring a 1977 Lotus Esprit Series 1 with the goal of bringing it back to the way it left the factory over 30 years ago.